Looking for a top performing SEO Firm? DBE Media is an award-winning SEO Company with workplaces in Hawaii and New York with clients across the United States. Let us assist you measurably improve your natural visibility and grow your organization! Our process for SEO, search engine optimization, resembles our method of marketing in general. Example, to optimize your ROI and get outcomes; you have to determine, track and enhance. Much better data equates to much better results. If you wish to grow your organization in today’s Internet-driven world, you need to be at the top of search engine results, and the only way to get there is with SEO. Our group of SEO professionals has years of experience generating leads and earnings for our clients, and with a results-driven technique, we’ll do the same for you. Go to Google and search a few keywords relevant to your organization. Do you see your site noted several times on the very first page of search engine result? If not, you’re losing leads and sales to your competition– guaranteed. No matter business you own, SEO must belong to your web marketing method. It’s not uncommon for a well-optimized, high-ranking site in a particular industry to get 100+ leads per month from organic search! For your service’ site to rank naturally, you should develop and promote your company as the authority for what you do, in the markets you do it. Ranking well on Google, Bing, and Yahoo requires many things. First, your website must be coded in a way that makes it simple for the online search engine’ software application to discover, crawl, and categorize your site- On-Site SEO. Second, you should develop web page after websites and post after post of unique, relevant, and remarkable material- Content Strategy. Third, you must promote your site to other pertinent and authoritative sites and get them to link to, reference, and cite you as an authority- Off-Site SEO. Local SEO, or “regional SEO,” is the process of enhancing your site for clients in your service area. For regional companies relying on consumers in their neighborhood for new leads and sales, earning a top ranking on Google could be the distinction between a prospective consumer calling you or calling your competitors. At DBE Media, our local search engine optimization services for small companies optimize your online realty on Google, Bing, and Yahoo for your essential services. On-page SEO– Our team of regional SEO experts will work to optimize your search existence using on-page optimization strategies like schema markup, localized content, on-page technical optimizations, and more. Off-site SEO– We manage your off-site SEO by actively monitoring your backlinks, consisting of nationally-syndicated service directories, specific niche or industry-specific directory listings, and more. NAP clean-up and management– One of the essential elements of your SEO project is to show up in local search. NAP clean-up and control determines your unique company place from other locations in your area as well as your rivals. SEO Analysis– We evaluate a regular monthly SEO report personalized for your business and technique. We take a data-driven approach to your search engine optimization strategy to enhance your internet marketing performance. A dedicated account manager– Your service will work directly with among our in-house employee as we grow your service. We approach every SEO project with an ownership mentality and treat your organization as if it were our own. Is your business being outranked by smaller organizations? Spade Design has helped many enterprise organizations use their real-world authority on the internet, increasing natural search rankings and measurably increasing natural traffic, leads, and sales from non-branded organic search queries. Addressing website code and structure issues– Because business sites are frequently enormous in size, poor website hierarchy and company can significantly affect your business SEO campaign, and ultimately, your annual return on investment. Dominating content obstacles– Enterprise-level sites are frequently much more significant than those of local businesses. White documents, on-site material, videos, and more can clutter your site be reduced on search rankings if not correctly enhanced. Let your content work for you and produce more leads and sales for your company. Monitoring your off-site authority– As a large organization, your website naturally makes a high volume backlinks and citations. 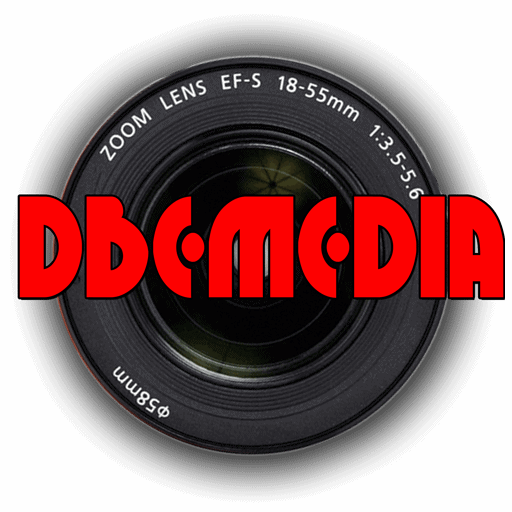 Business SEO from DBE Media. Be Wary of SEO Scams! Not all SEO companies live up to their pledges of more traffic, better rankings, and more leads. Some SEO firms accomplish results, but they do so by utilizing “black-hat SEO” techniques. These unethical techniques can injure your website’s rankings and have damaging impacts on your organization. “How do you determine SEO success?” At DBE Media, we always figure out search engine optimization success by increased leads– not rankings or traffic. Who cares if you’re getting more website traffic if it’s traffic from China when you’re a regional company serving a 30-mile radius. “What happens if we part ways?” Numerous business does not let you keep the enhanced content– you’re merely leasing it from them. Always ensure you will own your content and domain. “Do you guarantee rankings?” This is a loaded concern. If a business is guaranteeing you number one rankings, you need to look somewhere else. A trustworthy SEO Agency will inform you on why this can not be guaranteed however likewise develop a strategy to obtain you the best rankings possible and provide a good quote of the timeline had to strike these goals. We offer a short article that discusses this topic in more information. Are you ready to begin working with a top SEO Agency? You need to stay on top of the latest patterns in the SEO industry. If you do not, you’ll lose your rankings in search results page. That’s why choosing an SEO firm that understands your business and works carefully with you to carry out SEO options to reach more individuals and increase sales is crucial to your business’ success. Pick an SEO Firm you trust and make sure they concentrate on so. The company you choose should have a company understanding of your business goals and a plan to assist you to achieve them. At DBE Media, we know what it requires to build a robust online presence that attracts consumers and produces leads. Our group has years of experience developing and carrying out results-driven methods for over 300 satisfied customers, and we will do the same for you. Let’s speak about your objectives.